The Lok Sabha Election 2019 is an important test not just for the Congress, which has slowly lost its dominance in the North East, but also for the BJP and its carefully constructed North East Democratic Alliance (NEDA). 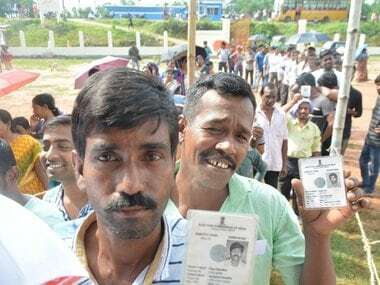 In Assam, polling took place in five (Lakhimpur, Kaliabor, Dibrugarh, Tezpur and Jorhat) of the total of 14 Lok Sabha constituencies in the state. Till 5 pm, the voter turnout in the state was 67.4 percent. 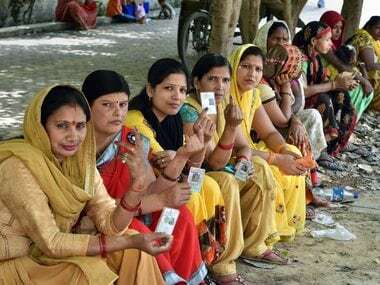 Lakhimpur had the highest number of candidates, with 11 people contesting from the constituency. BJP MP Pradan Baruah is the sitting MP in Lakhimpur and he will battle it out with Congress’s Anil Borgohain. Total electors in this constituency are 14,30,994. Chief Minister Sarbananda Sonowal had won this seat in the 2014 elections with a margin of 2.90 lakh votes. After casting his vote at Sahitya Sabha Bhavan in Dibrugarh, the chief minister said that he is sure that BJP will form the government under the leadership of Narendra Modi as prime minister. This election is crucial for the BJP, which has to prove its mettle in the region post the introduction of the contentious Citizenship Amendment Bill (CAB), 2016, which was passed by the Lok Sabha in January. This was vehemently opposed by individuals, local parties and civil society groups not only within Assam but all across the North East. However, the bill lapsed as it could not be passed in the Rajya Sabha. However, the CAB issue did rock the BJP’s smooth sailing in the North East. In Assam, the BJP is in alliance with Asom Gana Parishad (AGP) and Bodoland People’s Front (BPF). The AGP in January this year had broken its alliance with the BJP over the Citizenship Amendment Bill (CAB), 2016. Although the AGP has now returned to the BJP fold for the purpose of seat sharing, it continues to maintain its stance against the bill. Meanwhile, Narendra Modi addressed two election rallies in Assam in Kamalpur and Silchar. In the Kamalpur rally, he said that Assam is like his home. He also said that once the BJP comes back to power, his government would grant ST status to six tribes, namely Tai Ahom, Koch Rajbongshi, tea tribes, Chutia, Moran, and Motok. The prime minister’s rallies were criticised by ex-chief minister Tarun Gogoi, who said that campaigning on polling day is a violation of the model code of conduct. The BJP has nominated Rameshwar Teli to contest from Dibrugarh. Teli had won from the same constituency in 2014 elections for the Parliament. His main contender in the constituency is Congress leader Paban Singh Ghatowar, who is a former Union Minister of State (Independent charge), and Ministry of Development of North Eastern Region. The Dibrugarh constituency has a significant tea tribe population, which wants their employment conditions to improve. Parachamani Karmakat, (44), a voter belonging to the tea tribe, cast her vote at Sepon High school in Moran under Dibrugarh constituency. She hopes for a raise in her daily wage from Rs. 167 to Rs 351. "We are face a lot of problem to run our family. I worked at Sepon tea estate as a tea plucker. I want a government which thinks about poor garden workers," she said. In Meghalaya, the Lok Sabha elections took place in two constituencies — Shillong and Tura — with both the seats being reserved for members of the Scheduled Tribes in the state. Meghalaya chief minister Conrad Sangma, who belongs to the National People's Party (NPP), cast his vote at Walbagre polling station, which is a part of the Tura parliamentary Seat. Sangma in March had confirmed that the NPP and the BJP would not enter into a pre-poll alliance for the Lok Sabha elections. In Tura, NPP fielded Agatha Sangma as its candidate against ex-chief minister Mukul Sangma from the Congress. One of the important issues that came up during the polls was illegal mining in Meghalaya. In December last year, 15 miners lost their lives due to illegal mining in the state. In Shillong, Congress candidate and sitting MP from Shillong seat Vincent H Pala cast his vote at his village Lamyrsiang in East Jaintia Hills. Pala, a former Union minister and two-time MP from the seat, is a strong contender to win the seat. There are six candidates contesting from the Shillong Lok Sabha constituency, and Pala's main rival is the United Democratic Party's Jemino Mawthoh. 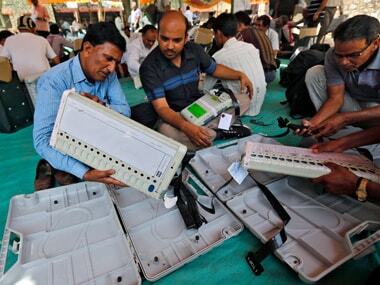 Meghalaya recorded a voter turnout of 62 percent till 5 pm. Elections in Manipur took place in the outer parliamentary constituency. The BJP’s candidate was KK Ranjan Singh while the Congress fielded K James. In Mizoram, chief minister Zoramthanga cast his vote at 7:05 am at the Ramhlun Venglai polling station. Former chief minister Lal Thanhawla spoke to reporters and said that he is confident Lalnghinglova Hmar from the Congress would win. Members of the Bru community voted at a special polling station at the Tripura transit camp at Kanhmun. The voter turnout in Manipur as of 8.30 pm was 62.9 percent, while in Mizoram, it was 60.82 percent till 5 pm. In the West Tripura constituency, the battle is between BJP candidate Pratima Bhaumik and Congress candidate Subal Bhowmik. Pratima Bhaumik alleged that goons of the Congress and CPM are creating nuisance to stop voters from turning up at polling stations. Former chief minister Samir Ranjan Barman said that the government, along with officials, have turned the election into a farce. The voter turnout in Tripura was 81 percent will 5 p.m. In Nagaland, four candidates battled it out for a single Lok Sabha seat. The candidates include Congress leader and former chief minister KL Chishi, Hayithung Tungoe from National People's Party (NPP), Nationalist Democratic Progressive Party (NDPP) leader and sitting MP Tokheho Yepthomi and independent candidate MM Thromwa Konyak from the Indian Christian Secular Party (ICSP). 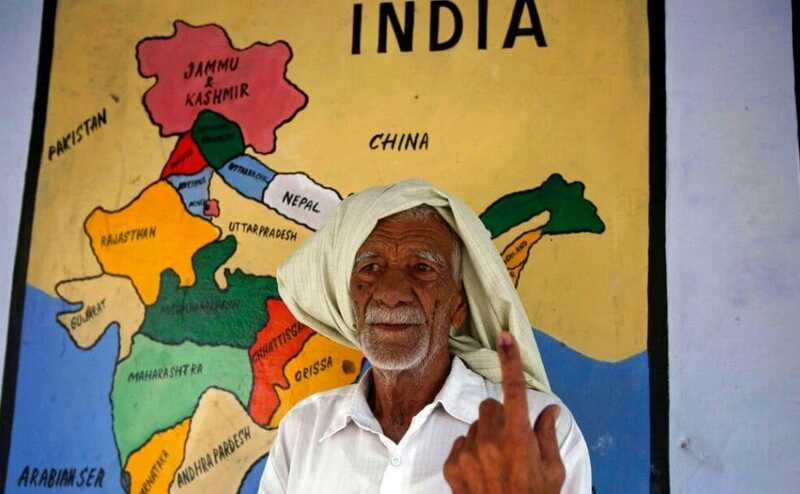 The voter turnout in Nagaland was 73 percent till 5 p.m..
People in Sikkim and Arunachal Pradesh simultaneously cast their ballots in the Lok Sabha polls and Assembly polls. 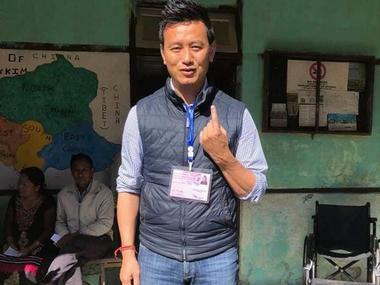 Former captain of the Indian football team Bhaichung Bhutia, who launched the Hamro Sikkim Party (HSP) recently, cast his vote at Pangthang under Kabi Kunchok constituency. In the 2014 Assembly polls, Sonam Lama, a representative of the Sikkim Krantikari Morcha (SKM), had won the seat by a margin of only 126 votes. The total voter turnout in Sikkim was 75 per cent till 5 p.m. In Arunachal Pradesh, former MP and BJP state president Tapir Gao is up against James Lowangcha Wanglat of the Congress in Arunachal East. Bandey Mili of the Janata Dal (Secular), Mongol Yomso of the People’s Party of Arunachal (PPA), and independent candidate CC Singpho are the three other candidates. The voter turnout in Arunachal Pradesh was 58.26 percent till 5 p.m.